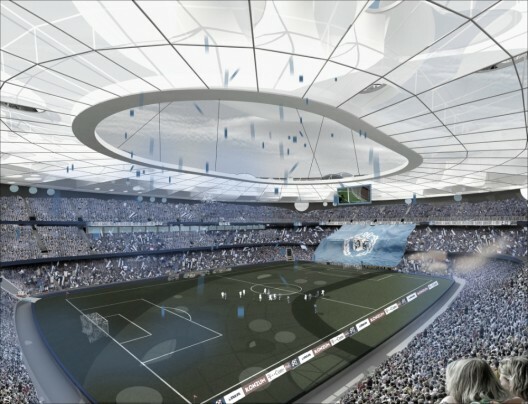 We’ve seen a rash of green stadiums recently–Taiwan’s World Games stadium, the New Meadowlands Stadium, and now the futuristic Za(breg) stadium in Zagreb, Croatia. 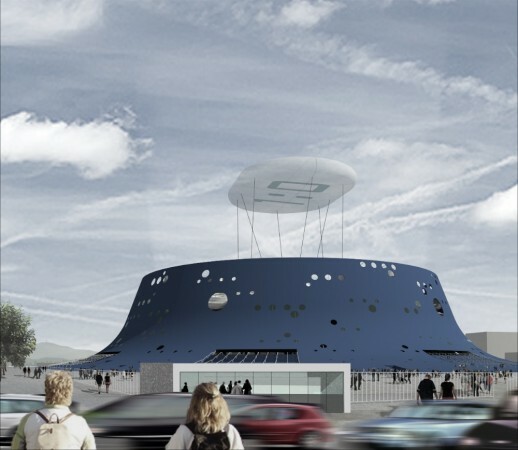 Dubbed the Blue Volcano by the press, the njiric+arhitekti-designed stadium is designed to be a major landmark for Zagreb. The Blue Volcano harbors a number of groundbreaking green features, including lightweight building materials (a polycarbonate dome, steel cables) and an artificial hill made out of recycled rubber. But the flashiest and most impressive feature is the zeppelin-like floating “cloud” above the stadium playing field. The so-called cloud acts as protection from the elements and a screen for the games going on inside. 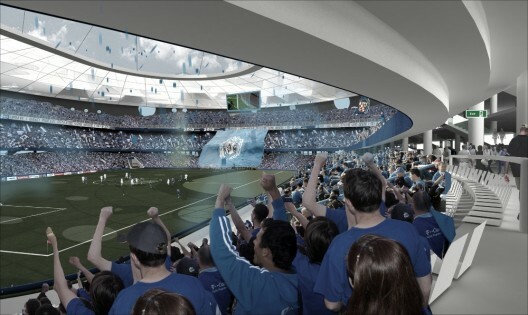 It also has photovoltaic panels sewn in to generate power for the stadium. No word on how much power the PV panels will produce, but we’re guessing it probably won’t be as much as Taiwan’s solar stadium. The stadium, completed this past July, has a 14,155 square meter roof covered in 8,844 solar panels–enough to power all the stadium’s lights and TV screens, and even sell power back to the grid.